Hi everyone!!! 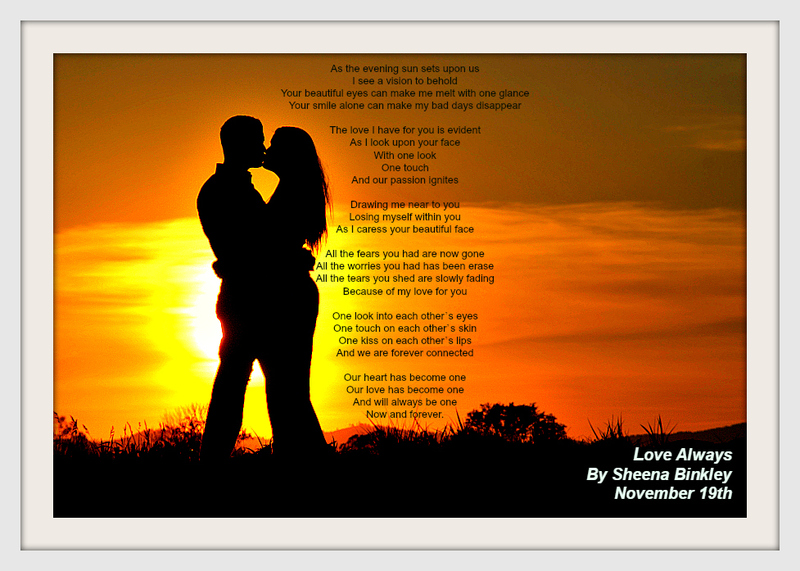 To get ready for Love Always, here are two teasers from the story, in which they are the poems Shawn recites to Riana. As everyone know from Love Unbroken, Shawn can be pretty creative with his writing, so both poems are just the same as the previous ones. Love Always will be available November 19th! !